What is Ecstasy Rehab Aftercare? Ecstasy is a commonly abused drug with potent stimulant and mild hallucinogenic properties that can lead to addiction with prolonged use. Aftercare or continuing care is a way to prevent relapse to ecstasy abuse after treatment is complete. Ecstasy is a commonly abused stimulant, which also goes by the name MDMA or "molly." It's commonly thought of as a social drug or "party drug," with a high prevalence of use at raves and amongst nightclub goers. With a somewhat unique pattern of use that typically is more periodic than the other drugs of abuse, there's some disagreement as to how common ecstasy addiction is; however, research does indicate that it does have addictive properties and can produce dependence in some people with prolonged use. People who believe they are addicted to ecstasy may seek out treatment in order to seek relief from symptoms of ecstasy abuse and get clean. However, the risk of relapse may be a major concern for many. Continuing care, or aftercare, is one way of attempting to reduce the risk of relapse following detoxification or a rehab program. If you or a loved have experienced problems with ecstasy abuse or other substance dependence and have questions about how a treatment program can help, call 1-888-993-3112Who Answers?. Enrolling in a drug treatment program--which often includes a medically supervised detoxification process--can be an important step in getting clean for many people suffering from an addiction. However, relapse rates are high for most substance addictions, and avoiding relapse is a real concern for many people, post-rehab. Engaging in aftercare is one way to help avoid relapse. Aftercare is a form of continuing treatment after leaving a rehab program. It can include a variety of different strategies for staying clean, mitigating long-term effects of ecstasy abuse, including therapy and counseling, community living, and medical assistance. So far, there is limited research on the factors that might lead to relapse when it comes to dependence on ecstasy. However, given ecstasy's prevalence among young adults in the nightclub scene, social factors may provide a strong pressure on users and social and behavioral interventions may be helpful for people trying to stay off the drug. Therefore, the National Institute on Drug Abuse recommends support groups and behavioral interventions to help maintain abstinence from ecstasy. In general, drug addiction has a high rate of relapse - often more than 50 percent, according to the National Institute on Drug Abuse, although the specific rate of relapse for ecstasy is unclear due to limited research in the area. However, given the high rates of relapse for addiction, in general, relapse prevention should be a key component of any treatment program. Since ecstasy is largely a social drug, often used among groups of people, social pressures are thought to be a major factor in encouraging the use of the drug. Research has indicated that social support networks are an effective way of reducing relapse rates for other types of substance addiction, so further research into its effectiveness with ecstasy users is warranted. The National Institute on Drug Abuse also broadly suggests behavioral therapy for a drug-free recovery from ecstasy. This could take any of several forms, including cognitive behavioral therapy or contingency management. Educational programs, particularly among high schools and colleges, are also thought to be key in preventing youths from taking up the drug in the first place, and may be helpful to recovering users as well. Currently, there are no FDA-approved pharmacological interventions for the treatment of an ecstasy addiction. This means that any prevention techniques must be social, behavioral, or otherwise involve counseling or therapy. Motivational enhancement therapy was found to be mildly effective in reducing ecstasy use in depressed patients. One reason may be that depression or disordered mood is a primary reason for initiating ecstasy abuse and tackling depression directly may increase motivation to stop using ecstasy. For people who are truly addicted to a drug, their dependence is an ongoing condition comparable to any other chronic illness. And relapse, unfortunately, is a common trend with many chronic conditions. In fact, an oft-cited 2000 study found that relapse rates were similar among drug addiction and several other chronic illnesses, including diabetes, hypertension and asthma. Therefore, individuals in recovery from addiction should be advised that relapse is a common outcome. However, avoiding relapse is ideal; treatment programs should focus on giving patients the resources they need to undergo a healthy, drug-free recovery. Individuals in recovery will find that there are a variety of programs, therapies, and interventions available to help manage addiction. These continuing care options may include counseling, therapy, community living, support groups, and even medications designed to reduce cravings. While scientific evidence on the effectiveness of different types of continuing care for ecstasy is limited, it's likely that counseling and group therapy are among the best choices. This is because of the social nature of ecstasy, which is often taken among groups of people at clubs and parties. Studies have found that ecstasy users, particularly adolescents, have high rates of depression, impulsiveness and sleep disturbances. CBT has been effective at mitigating the impact of depression, by helping individuals develop positive thought patterns and behaviors. It may prove effective in the depressed subset of ecstasy dependent individuals. In general, individual therapy sessions are generally designed to build confidence, promote healthy decision-making, and provide patients with strategies to deal with high-pressure situations and their own cravings. Group therapy sessions can also reinforce many of the same strategies in a group setting, while also providing a sense of social support. Some group therapy sessions may also involve family and friends. Admit that their addiction has become a problem. Find ways to make amends for this harm, and use prayer and mindfulness to help manage the addiction. The 12-step program was made famous by Alcoholics Anonymous and is also commonly used in other group-oriented organizations, such as Narcotics Anonymous. In addition to an emphasis on group participation and social support, 12-step programs notably emphasize the existence of a higher power and the importance of recovery mind, body, and spirit. The effectiveness of such programs has been a source of contention in recent years. Recent research has produced conflicting results, with some studies concluding that 12-step programs effectively reduce substance abuse rates, and other studies concluding that they are no more effective than any other treatment. It's likely that the effectiveness of a 12-step program simply depends on the person, particularly given its specific philosophy on spirituality and the importance of prayer and meditation. Talking to an addiction expert or sitting in on a meeting may help you decide if a 12-step program is likely to be helpful for you, or if a different philosophy on addiction would be more suitable. For more information, please call 1-888-993-3112Who Answers? today. Some types of substance addictions are commonly treated with medications. Methadone maintenance, for example, has been shown to be effective at preventing relapse among people recovering from an addiction to opioids, such as heroin. Unfortunately, there are currently no known effective pharmacological therapies for the treatment of an ecstasy addiction. Antidepressants may be used to treat post-abstinence depression. 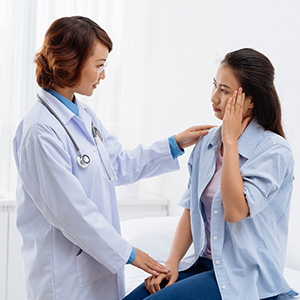 Physiological disruptions like tachycardia, neurotoxicity and memory impairments must be managed with supportive care and therapy. Ecstasy abuse is associated with acute kidney injury and hyponatremia (lowering of sodium levels in the blood). Follow-up medical care is a necessity to ensure that the body is functioning normally after abstinence. Therapeutic communities or sober living houses are one way for people to gradually transition back into their daily lives following a treatment program. These communities are generally designed for patients who are leaving a rehabilitation center or inpatient treatment program. Sober living houses are group homes that place an emphasis on sobriety, healthy living, and social support. Some studies have indicated that they are effective at reducing relapse rates for certain substance addictions, such as opioid addictions. However, more research is needed on their effectiveness at reducing ecstasy abuse. It can be argued that the sense of community involvement inculcated in sober living situations can be beneficial for ecstasy users whose primary motivation to use was to feel close to others. Also, because of the neurocognitive deficits that prolonged ecstasy abuse can cause, the structure of a sober living environment may give ecstasy dependent individuals the cushion they need before successfully engaging in the larger society. Contingency management is a treatment approach that rewards "good behavior" in patients--usually abstinence--with items such as vouchers or prizes. Studies have suggested that contingency management can be effective for other forms of substance addiction, although there's a lack of research on its effectiveness with ecstasy users. Family and friends can play critical roles in the continuing care of their loved ones who are suffering from addiction, as research has shown that access to strong social support networks can help lower the risk of relapse. There are several ways family members and friends can learn to better cope with their loved one's addiction while providing strong support. One option is family counseling, which many therapists and counselors incorporate into their sessions. These group sessions help teach family members healthy ways to cope with their loved one's addiction while fostering stronger communication and better ties among family members. Additionally, both family members and friends might consider joining a support group for the loved ones of people suffering from addiction. 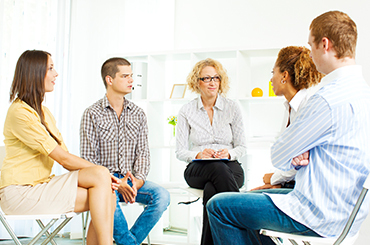 Support groups can help friends of addicts make social connections with people who are going through similar situations, give them a chance to speak in a group setting about their experiences, and help them develop ways to cope while better supporting their loved ones. If you're interested in more information on supporting a loved one who is suffering from an ecstasy addiction, call 1-888-993-3112Who Answers? to speak to a member of our support team.